ESPN has inked a deal with the SEC to broadcast over 1000 college sporting events for the conference, with the headquarters for this new operation in Charlotte. ESPN will expand their current studios in Ballantyne and add ~100 jobs. ESPN and the Southeastern Conference said Thursday that Charlotte will be the home of its new SEC Network, which will launch in August 2014. In a deal that will run through 2034 – likely the longest-term broadcast contract in all U.S. sports – the new network will carry 1,000 live events annually on TV or digitally, including 45 conference football games. Financial terms were not disclosed. 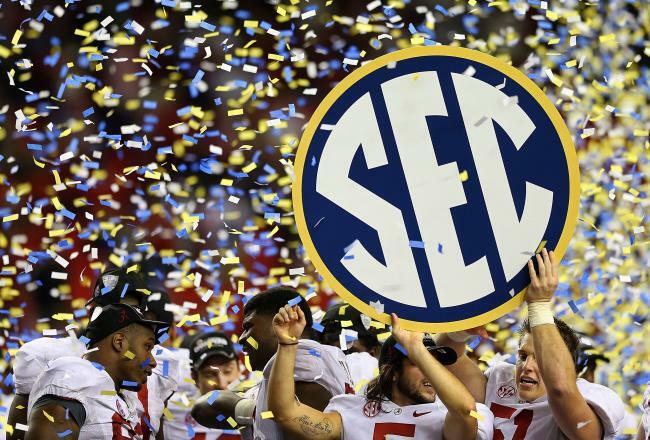 In announcing the new network in Atlanta, SEC commissioner Mike Slive and ESPN president John Skipper said the network will offer SEC-oriented programming 24 hours a day to a national audience. Read more by Mark Washburn at The Charlotte Observer. Thank you, Something I hoped for since I moved from Tupelo, Mississippi to Charlott in 2004, all the SEC sports I can handle, thanks. Growing up being a Alabama fan, living within two hours of 3 SEC schools, it’s hard not watch something you love. If a jobs comes open working for the SEC count me in.